The Nintendo Wii U is set to the most powerful console around, with one analyst believing that it pack 50 per cent more processing power than the PS3 and Xbox 360. 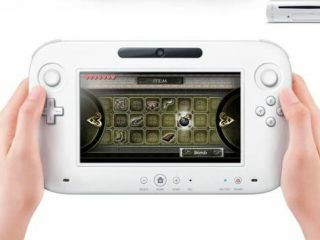 Instead of plucking this figure from thin air, an analyst from Sterne Argee has spoken to a number of game devs who have been creating games for the console and they believe that the Wii U - unveiled at this year's E3 - will be a powerful beast. "Some of the developers we spoke to indicated to us that the console will have 50 per cent more processing power compared to the PlayStation 3 or Xbox 360. This is yet to be confirmed by Nintendo," said Arvind Bhatia from Sterne Argee. If it does indeed have this much power, then it will be good news for Nintendo fans who have had to make do with the standard-def Wii for some time, while PS3 and Xbox 360 users have been lavished with HD goodness. We are glad that Bhatia didn't take his 50 per cent guestimate from the Nintendo conference, as the company recently admitted it sexed up its showreel with game footage from both Sony and Microsoft. Nintendo has yet to confirm any hardware specs for the Wii, other than that it will be using a proprietary hi-def disc format.